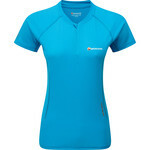 Wonderful trail running vest from Montane. True to Montane's philosophy this vest is super ligthtweight and offers excellent functionality. Comes with £30 worth of soft bottles: great value! 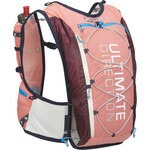 Has 6 small mesh pockets and 2 bigger ripstop/showerproof compartments ideal for bladder/larger items. 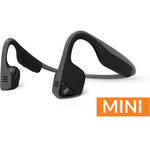 Designed to provide perfect weight balance when running on trails/hills but also suitable for road running. 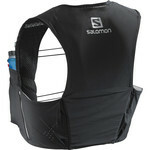 The vest is easy to adjust, comes in one size and has a polygiene treatment for odour prevention. Multi pocket configuration for versatile storage options including two upper stretch chassis pockets, two lower chassis pockets, enlarged stretch mesh storage pockets on either side of the harness.